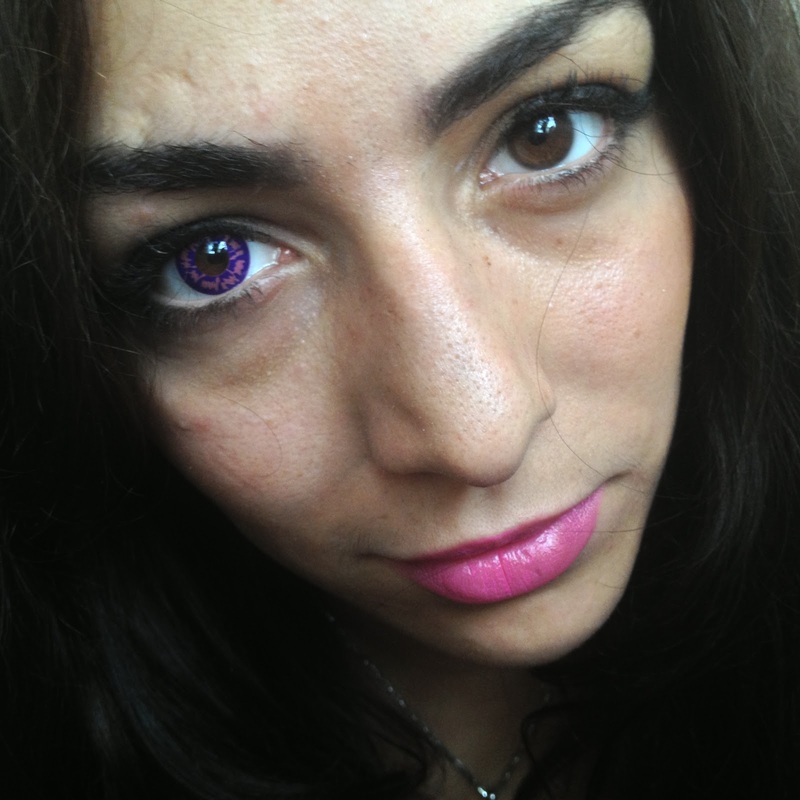 Today I got a little bit excited when I received these Phantasee Crazy Lenses in post from Vision Direct. With Halloween coming up I decided to try something that wasn't going to look too 'normal' a colour and a lot of fun, and decided to try Temptress which as you can see is a royal purple with baby pink flecks. They also sent me a solution to help keep them clean and safe to use and a case to keep them safe too. 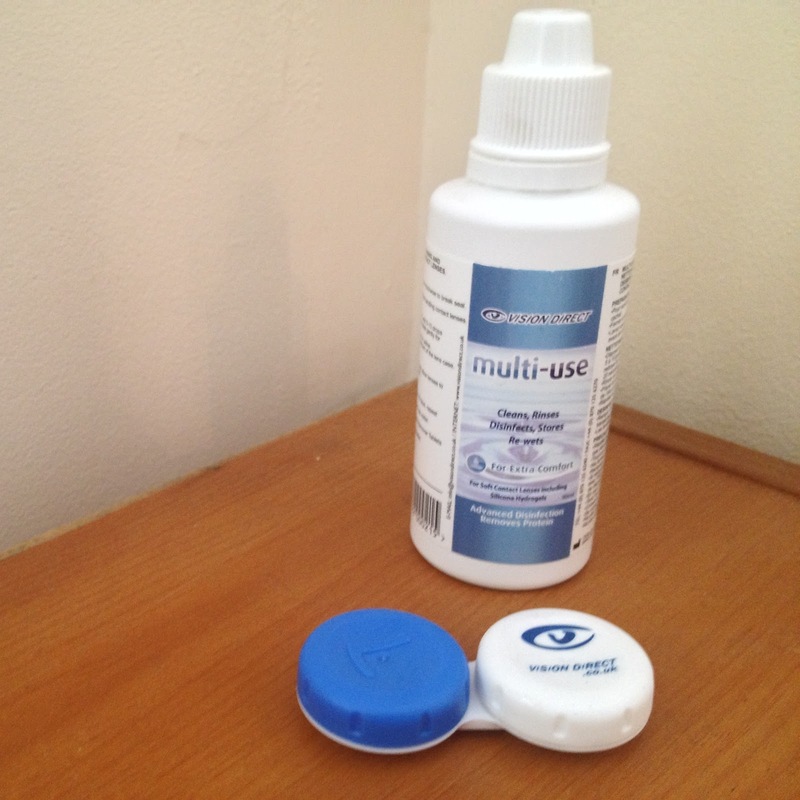 I have never tried contact lenses so I was very nervous as well as excited to try them and made sure I did my research on keeping them clean, inserting them and removing them. It wasn't as hard as I thought, and I'd recommend watching the videos for a visual aid on how to use them. They were more comfortable than I expected so I was pleasantly surprised as they are soft and flexible. I expected to be able to feel them in my eye more and them to be not as soft and flexible. I did my make up as normal and dramatised it a little to emphasise the colour of the lenses, by darkening my eyebrows and using my favourite pink lipstick to bring out the pink flecks. I'll definitely be wearing my lenses on Halloween and though I'll be working all day, I'll be dressed up a little like Morticia Addams from the Addams Family in my midi dress as I have to wear black to work. 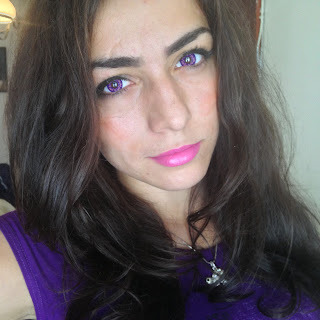 I would recommend getting Phantasee lenses from Vision Direct to complete your Halloween look or just for fun. Though I am a newbie with lenses, so I haven't got much to compare it to. I'd say that they are comfortable, a lot of fun but definitely not for everyday wear, as a friend told me everyday lenses would have to be made to fit your eye shape perfectly. They have lots of different coloured lenses and you can find them all here on the Vision Direct website! 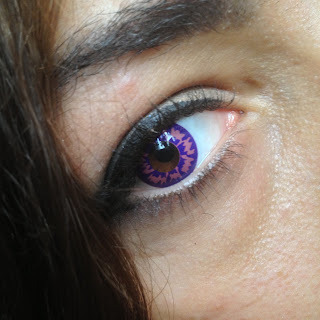 Will you be wearing some coloured lenses this Halloween?